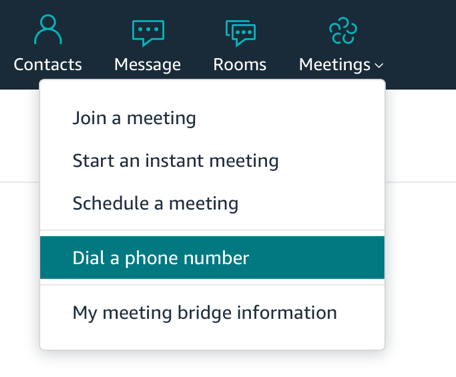 An Amazon Chime administrator can setup Business Calling for enterprise users in minutes using the Chime management console. The administrator can assign phone numbers to employees and enable incoming calling, outgoing calling or both. Enterprise users are then able to call or text landline and mobile contacts directly within the Chime app with a single touch. User can also manually dial a phone number using the integrated dial pad. Chime mobile apps are integrated with the native Android or iOS dialer applications for a familiar user experience. Incoming calls to user’s phone number alert all of instances of the Chime apps where the user is currently logged in – mobile and desktop. Users can answer on the device that’s most convenient for them or divert the call to voicemail. Voicemails are captured and presented to the employee as clickable audio files in the Chime app.